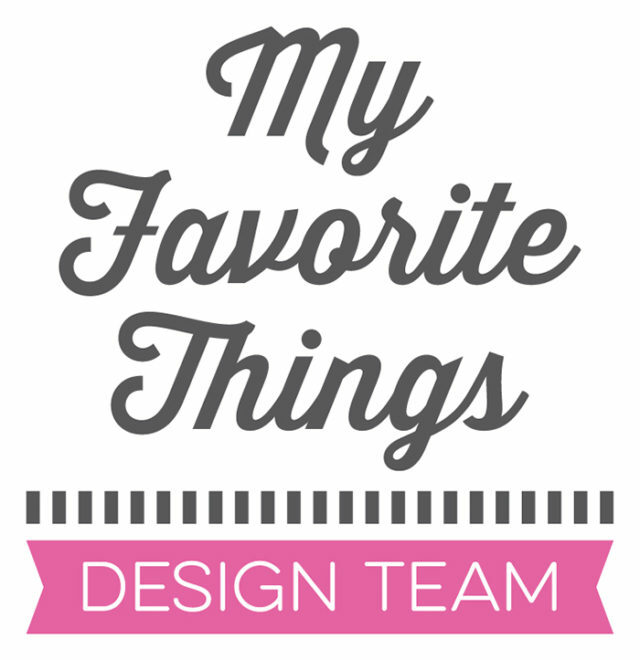 I’m thrilled to announce that I’ll be joining My Favorite Things Design Team!! Yay!! I’m so happy and honored to be part of their awesome DT and I’d really like to thank MFT to give me this amazing opportunity! I colored all the critters with my Copic Markers and die-cut each one of them using the coordinating dies. Then, I ink blended some Scattered Straw Distress Ink on a card base and stamped a bunch of confetti in the air using MFT Grout Gray Premium dye ink. I mounted all the cute animals on my card using foam tape to create dimension. Finally, I heat embossed the sentiment on a strip of MFT Summer Splash Prestige Card Stock and added some sparkling clear sequins as embellishment.